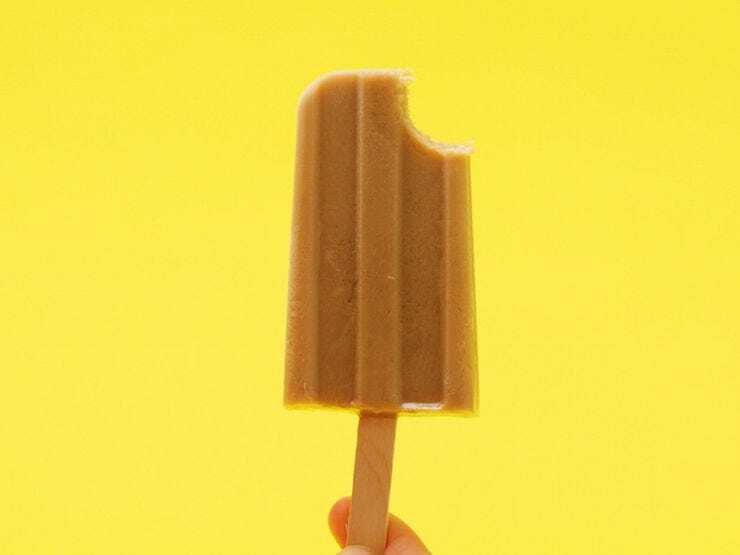 Cold Brew Coffee Popsicles These pops are a sweet treat with a caffeine kick. Whisk together coffee, milks, and syrup until combined. Pour mixture into 10 3-ounce popsicle molds. Freeze for 1 hour. Then, remove from the freezer and add popsicle sticks. Return to the freezer for 3 hours, or until fully frozen. To remove popsicles, hold the bottom end of the molds (opposite the popsicle sticks) under lukewarm water for 30 seconds, or until popsicles become easy to remove.